History will set things straight on Syria for the US, which is already responsible for a chain of “bloody carnage” in other countries, Russian President Vladimir Putin said following the US-led attack on the country. 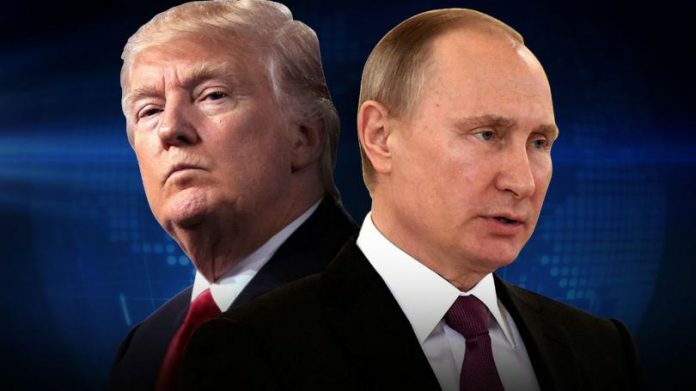 “History will set things right, and Washington already bears the heavy responsibility for the bloody carnage in Yugoslavia, Iraq and Libya,” Putin said in a statement. His disdain was triggered by the overnight attack on Syria launched by the US and its allies, who cited an alleged chemical incident in the town of Douma as a pretext. This unilateral military action has “a devastating impact on the whole system of international relations” and only escalates the Syrian crisis instead of defusing it, the Russian president stated. The attack came shortly before the Organisation for the Prohibition of Chemical Weapons (OPCW) experts were set to begin their fact-finding mission in Douma. The OPCW mission was disregarded, however, and “in a sign of cynical disdain, a group of Western countries decided to take military action without waiting for the results of the investigation,” Putin said. Despite the attack, the chemical watchdog’s experts are set to begin their work in Syria, to determine the circumstances of the alleged chemical incident, reported last Saturday. Pro-militant sources, including the controversial White Helmets group, claimed that a chlorine-filled munition was deployed by government troops, killing and injuring dozens of civilians. This entry was posted in News and politics and tagged bloody carnage, Putin on USA, throughout the world, US responsible for. Bookmark the permalink.